Whether you enjoy leveling your World of Warcraft characters up to level 85 or you prefer getting there as quickly as possible, there are plenty of benefits to be had from dungeon leveling. The loot drops inside dungeons are better than anything you’ll find while out solo questing, and you will get to kill interesting and unique creatures you can only encounter inside the dungeons. Of course the most obvious benefit is that you will get your leveling done faster than ever before, and there are several reasons this is the case. All of these reasons factor into the fact that you’ll be earning more experience per second than you ever did before. On average, you will be able to kill more creatures per second while playing in a group of five than you ever did while you were solo questing. This is because there is strength in numbers, and the five of you can probably handle four or five creatures all at once. That’s compared to just one creature while you’re playing by yourself. Remember, you get experience from each kill your party makes, even if you didn’t actually damage the creature yourself. Another thing you’ll notice while dungeon leveling is that there are also a lot more creatures packed into a smaller space inside the dungeons. This means that yard for yard, your group will have a lot more kills in just a 20 or 30 minute time span than you ever did while you were playing by yourself. Another important thing to factor in when considering dungeon leveling is that the amount of down time you experience will be a lot less. Unless your entire group wipes, you probably won’t have to run back to get your corpse. As long as a healer or other party member with resurrection powers is still alive, you can be resurrected without having to run back. Also having more creatures packed into a smaller space means there’s not as much empty space to run through in order to reach your mobs. One thing about down time that you should keep in mind is that time you spend actually waiting for a group. This is especially true for DPS classes because often the line for DPS is quite long. Tanks and healers will often be able to get in instantly, but DPS classes may have a lot of down time actually waiting for their group to begin. This down time is best spent running solo quests because a little bit of experience is better than none. 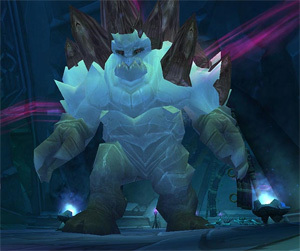 Every time you’re dungeon leveling, you will also find that you’re able to kill mobs faster in a group. Even if the pulls are coming one creature at a time, four or five people targeting that creature all at the same time will kill it much faster than just one player targeting it alone. This creates an exponential effect when you’re talking about the speed of dungeon leveling.